As from May 2015, the Langeberg & Montagu Mail is under new ownership. After 7 years, outgoing owner and editor, Peter Dearlove, felt it was time for new ventures. In his endearing and gentle way, Peter proved that he is a staunch supporter of anything Montagu. All the good causes, service organisations or individuals that constantly strive to make our town and region a better place to live in or visit, benefited hugely from his willingness to support and assist where and whenever he could. New owner, Niel Ackermann is no stranger to us. If there is another business man who understands what customer service is about, then that is Niel. 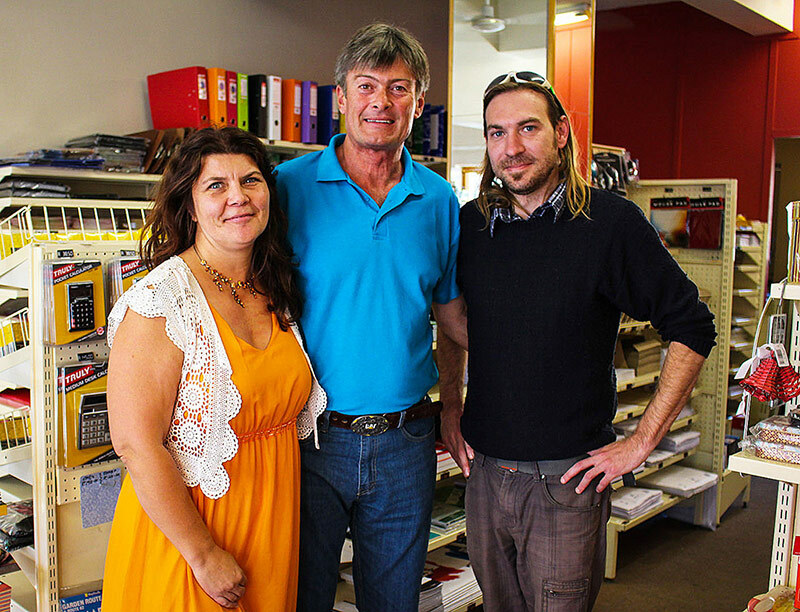 The Langeberg & Montagu Mail will be housed in and form a perfect extension to his existing business, 'Niel se Huiswinkel', a stationery, printing & gift shop which he has been the owner-manager of for well over 20 years. Editor, Mareletta Mundey (nee Van Zyl) will be assisted by Braam van der Vyver who will be responsible for Design & Layout. Together, the new team pledges to get each month's paper out on time on the 1st of each month and to build on the good work of the founding editor Gabrielle Evans and Peter Dearlove who took over the reins from her until the end of April this year. For layout & Design, Braam can be reached at icgraphix20@gmail.com or contacted at the shop: 023 614 2632. The community wishes you well and look forward to your very first issue on the 1st May!